Home > Events > Special Events > Golf Membership Offer – Pay for 12 months and get up to 3 months free. Golf Membership Offer – Pay for 12 months and get up to 3 months free. 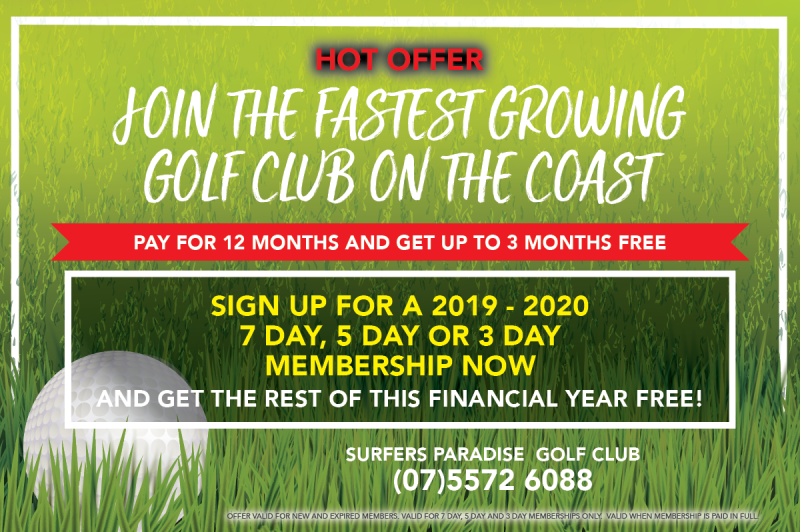 This is your perfect opportunity to join the fastest growing golf club on the coast ! Pay for 12 months and get up to 3 months free with this fantastic offer. Simply sign up for a 2019-2020 7 DAY, 5 DAY OR 3 DAY MEMBERSHIP now and get the rest of this financial year free!